Ben, our driver and guide, from McDermott's Speciality Tours and Charters gave us a day to remember. His knowledge of the locality, and especially the flora and fauna, was exceptional with all questions answered willingly and thoroughly. His passion for the environment and indeed Tasmania in general was a delight to encounter.Thank you Ben for giving us a day to remember. 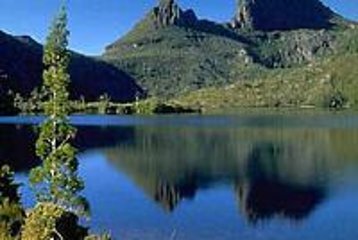 Tours exploring the untouched and carefully preserved Tasmanian Wilderness are a must for anyone visiting Tasmania. Our tour guide and bus driver Headley was on time and provided terrific commentary. On site, our guide Megan was informative and sympathetic to the abilities of the group by modifying and pacing the walking tours for us. It is a long day tour, but the scenery is quite spectacular! A must see for the nature enthusiast. Absolutely fabulous! Our guide was so wonderful and knowledgeable. Cradle mountain and Dove Lake are spectacular. Wish I could have stayed there longer. Will definitely do it again. A fantastic experience. Bus arrived on schedule. Imogen, our guide for the day gave a commentary which was informative and interesting on a range of topics- places, history, landmarks etc. We stopped at Sheffield briefly, before making the drive to Cradle Mountain. Imogen had everything organised for us which was great. She kept a steady pace for us to walk around Dove Lake, stopping along the way to explain certain features, and giving us time to take photos. Scenery was amazing, plenty of photo opportunities. It was cool and a rain jacket was handy for the showers that occurred. Good walking shoes are a must. 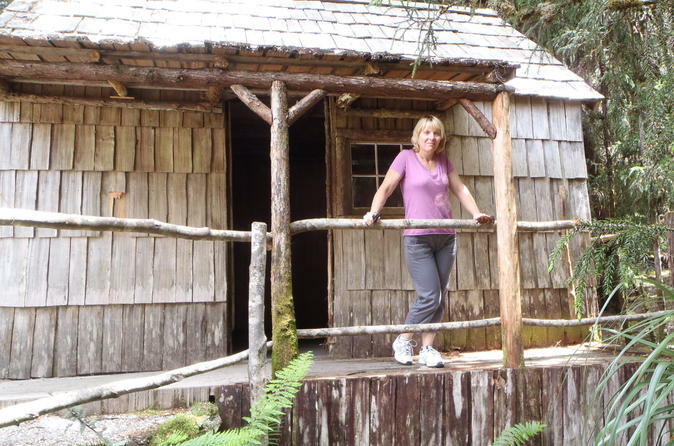 Afterwards, we had lunch - wraps/sandwiches, drink in a hut, followed by a visit to Waldheim house. We stopped at Ashgrove Cheese before heading back to Launceston. Overall, the experience exceeded expectations - wealth of information gained by being with an excellent guide and only a small group of about 9, access to the park and facilities, for a first time visit to the area the day was very enjoyable. A must do tour. Our guide Headley did an amazing job and my son and I thoroughly enjoyed the trip! Perfect weather for a clear view of Cradle mountain. The coach driver's commentary was interesting and informative. It's an excellent way to see the countryside and we stopped at a couple of the towns. A most enjoyable day trip. We were lucky in having a perfect spring day which did help. The McDermott's coach driver/guide was most friendly, helpful and full of added info all the way there and back for that matter. He was a key ingredient to making the days tour informative, educational and therefore more enjoyable with meaning and purpose to the days outing. All it did was whets one appetite to go back for a longer time and go trekking in the Mt. Cradle National Park. This is an excellent trip if you would like to experience Cradle mountain. During the stop at the visitor centre, keep an eye for wombat as they roam freely in the area. There was plenty of time to do the glacier stone hike nice view from here and a walk to the opposite side of the lake.